Whey protein has been making headlines for quite some time, especially for those who are into bodybuilding. Anyone who wishes to bulk up or lose weight has probably heard of whey protein, too. Thousands have already used it as a supplement to their daily diets to help them achieve the body they want. However, there are some who wonder if whey protein makes you fat. Some people are hesitant to use whey protein powder because they think they might gain unwanted weight if they use the supplement. If you're one of those people, read on for answers. 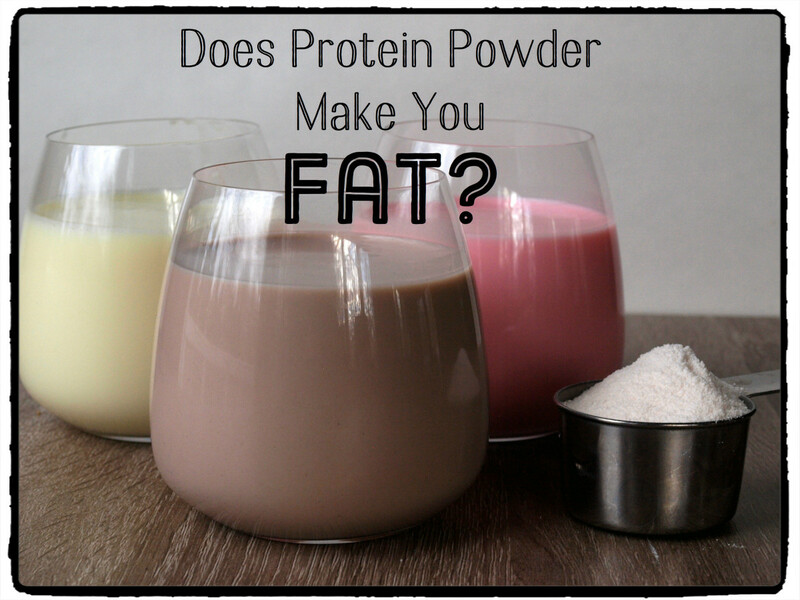 Does Whey Protein Powder Make You Fat? The short answer is yes, if you use a lot of it and you don't work out. It is important to remember that any type of macronutrient (fat, protein, and carbohydrate), when taken in excess, will surely lead to weight gain. The body is able to use a limited number of calories per day, and if your caloric intake is more than what your body can use, you will inevitably gain weight. So although it is very useful to athletes, and although it does help them sculpt their ideal bodies, whey protein is not some magic ingredient to produce a muscular, athletic body. People who wish to lose weight must do more exercise to burn away the fat. However, it is also important to know that there are no studies or scientific evidence that show that whey protein causes a greater increase in weight gain compared to other types of food. So there is no evidence to support the claim that whey protein makes you fat. Asking whether whey protein makes you fat is like asking whether pork or turkey makes you fat. If you eat more than you use, no matter what you eat, you will get fat. Still, there are also some who argue that whey actually encourages the body to store more fat because it causes insulin levels to rise more compared to other foods that are rich in protein. However, in terms of balanced diets, insulin levels are dictated by the total amount of energy consumed to the total amount of energy spent. 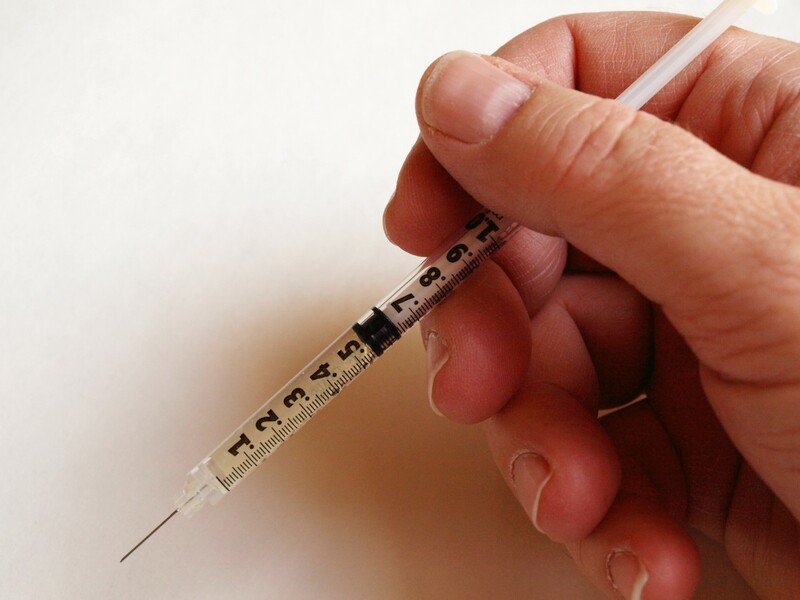 When looking at the bigger picture, the rise and fall of insulin in the blood is not relevant, as many of the carbohydrates that people consume cause insulin to spike more compared to whey protein. As long as whey protein fits in your fitness program, it will not make you fat. However, you should understand that you need to keep an active lifestyle in order not to gain weight. 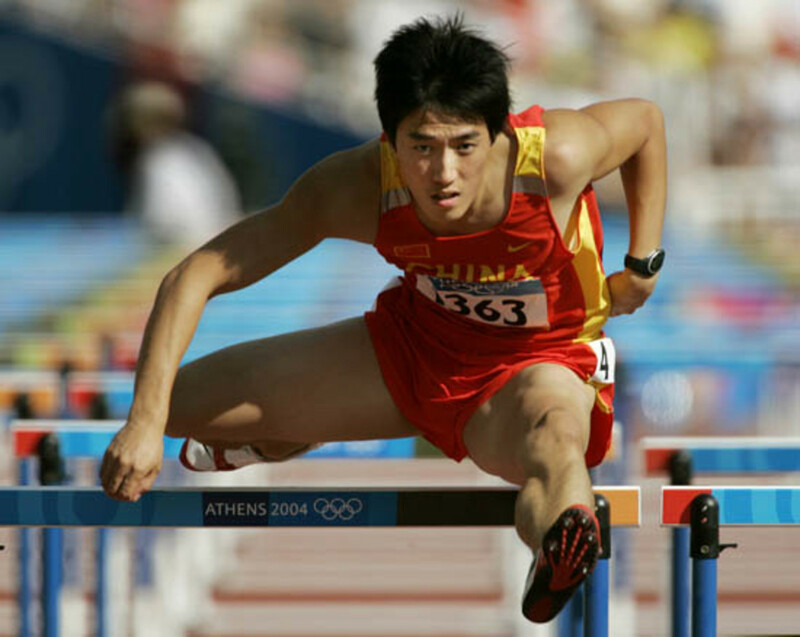 There have also been studies that showed this source can help people burn fat a lot faster. Whey protein has been found to increase fat burning when it is used as a protein source before working out. If you consume whey protein before you work out, it rapidly burns your fat - a process otherwise known as beta oxidation. In beta oxidation, the fatty acid molecules in your cells will break down and generate acetyl-CoA, an important molecule in metabolism. Various cells and tissues will break down fatty acid molecules and give your body more energy. 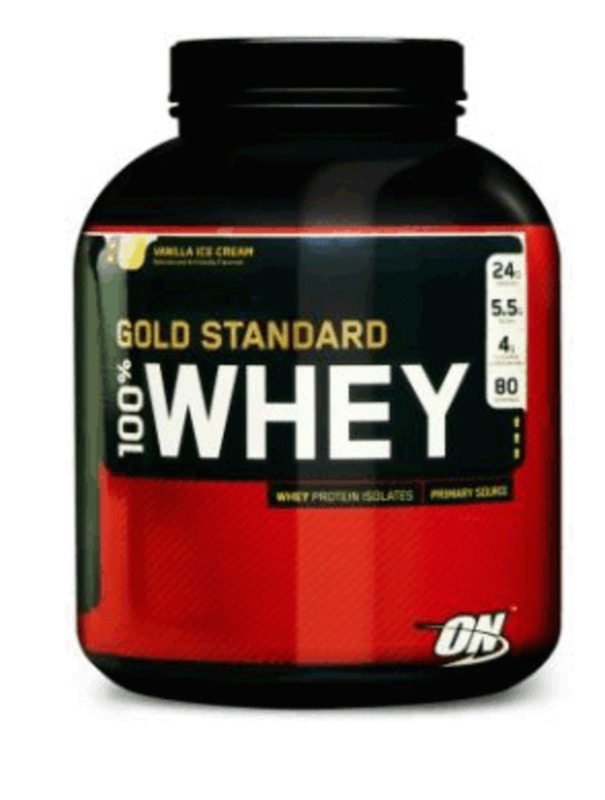 Whey, or a similar type of protein, must be used as your source protein for beta oxidation to occur. Whey protein also increases the number of calories the body converts into heat energy (thermogenesis). During the process of diet-based thermogenesis, the body transforms calories into energy. For exercise-included thermogenesis, muscle cells will burn calories so that the body will have more energy for muscle contraction. A great amount of energy may be expended for contraction. Expended energy is ultimately converted to heat. This explains why during an exercise or a strenuous activity, you start sweating a lot and your body temperature increases. In this situation, you are experiencing a thermogenic process. The more energy you put in during your exercise, the more you waste your energy in the form of heat. However, this also means more calories have been burned along the way. 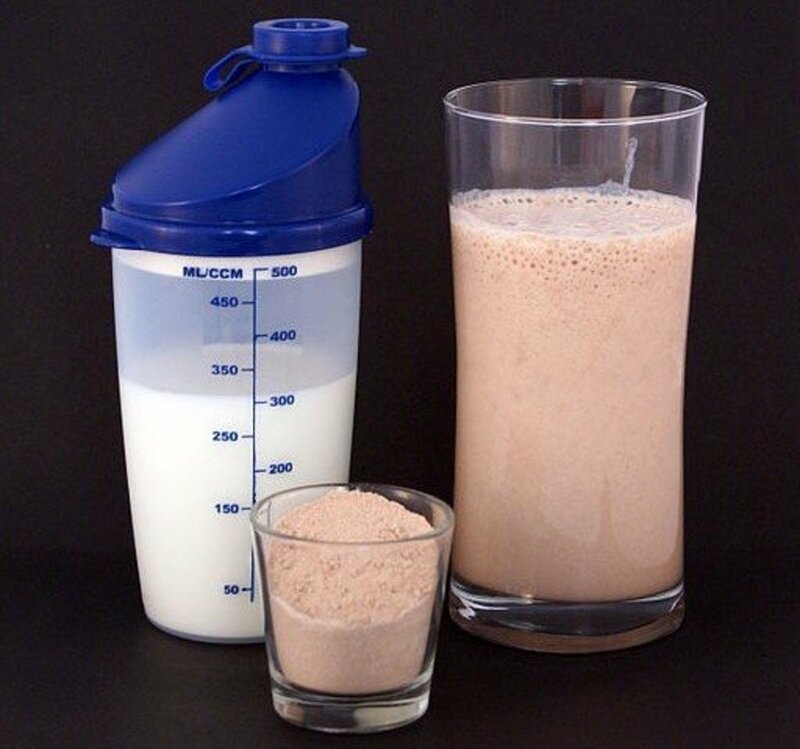 Whey protein intake leads to more calories burned, translating to better weight loss. Whey protein helps the regulation of cravings and uncontrollable hunger pangs by increasing the secretion of Cholecystokinin (CCK), which is an essential hormone that is involved in hunger regulation. CCK is a peptide hormone responsible for regulating hunger by stimulating fat and protein digestion. It is found in the gastrointestinal system. Grehlin production, or the hormone that stimulates one's appetite, is also suppressed. Whey protein puts a stopper on ghrelin production, so that the individual does not feel any urge to eat. Ghrelin is also a peptide hormone found in the gastrointestinal tract. Alternately called the "hunger hormone" or Ienomorelin (INN), ghrelin functions as an appetite stimulator. Whey protein is a mood enhancer and energy booster. This helps to regulate energy and mood levels when a person restricts caloric intake by increasing the production of serotonin. In this regard, restricting your calorie intake and taking low calorie whey protein at the same time can encourage serotonin production. Serotonin is a compound, which acts as a neurotransmitter. You can find it in the blood platelets and blood vessel serums. A large percentage of serotonin (as much as 90 percent) can be found in the gastrointestinal tract. The brain also produces serotonin but brain-produced serotonin is only used within the brain. Serotonin can affect behavior, mood, sleep patterns, desire and memory. Whey protein concentrate - This contains low levels of fat and carbohydrates (lactose). Protein percentage of WPC depends on its concentration levels (between 30 percent and 90 percent). Whey protein isolate - This is a processed type of whey protein. It contains 90 percent protein with no fat and lactose. Whey protein hydrolysate - This predigested form of whey protein has been subjected to partial hydrolysis. It requires less digestion than the other types of whey protein. This variant is usually added to medical protein supplements and infant formulas due to its better digestibility and low allergen potential properties. Milk is made up of two proteins: casein and whey. The whey protein can be separated from the casein or formed as a by-product of cheese. Whey protein, which is low in lactose, is a complete protein and contains all 9 essential amino acids. High amounts of branched-chain amino acids are responsible for better muscle protein synthesis. What makes whey protein different from other protein sources is that it has the highest bioavailability compared to the rest, helping your body absorb the biggest amount of total protein content. There have been studies conducted that indicate that whey protein has properties that help fight inflammation in cancer patients. 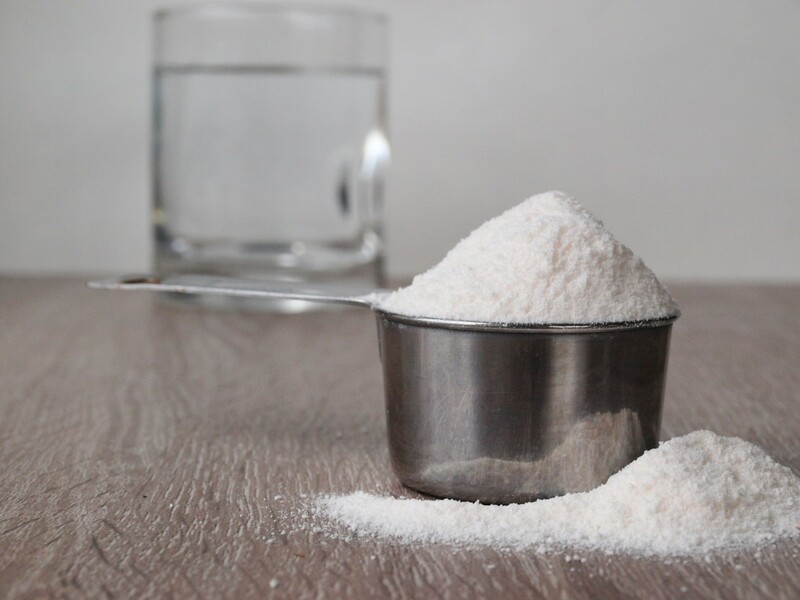 Whey protein is now considered to be a topic of great interest among many researchers, who are studying its use in reducing the risks of certain diseases. There are already reports that have shown whey protein to be beneficial in regulating the metabolism and as a supplemental treatment for many conditions, including unwanted weight loss due to certain illnesses. Nowadays, whey protein is commonly used and marketed as a supplement for the diet. In the alternative medicine world, there have been many health claims made about the product. Although the casein protein has been shown to be the culprit in most cases of milk protein allergies and intolerances, both milk proteins can trigger similar issues in certain individuals. The prevailing attitude toward whey protein has changed a lot through the years. In the past, it has been vastly used by bodybuilders alone, but nowadays, it is used by all kinds of athletes and those who simply want to have fitter bodies. It is commonly known to be a complete protein that contains all of the 9 essential amino acids (like quinoa, meat, eggs, and dairy) that the body can easily digest and make use of. When talking about high-quality protein, whey protein is simply one of the best sources, especially for fat burning and muscle building. Its bio-availability, or capability of the body to absorb the protein, is the highest compared to other protein sources. It is very convenient because the powdered form is easy to prepare in a shake form. You can prepare and consume the protein within a few minutes. But if you aren't an athlete and don't work out, will whey protein make you fat? The claim that whey protein makes you fat may well be a myth. Whey protein, by itself, does not make you fat. However, how you consume it can affect your weight. Consuming whey without knowing what type of protein it is and what it does to the body will understandably come with unnecessary risks. Whether you intend to shed off some pounds or bulk up or gain more weight, it will show you the way. The benefits attached to whey consumption are endless. The trick is to have a real fitness goal and customize your whey intake to achieve it. If all the studies about whey protein were to be believed, then the myth that it makes you fat certainly does not hold water. Whey has been proven to be more of a fat burner despite the fact that it is also a good source of calories. 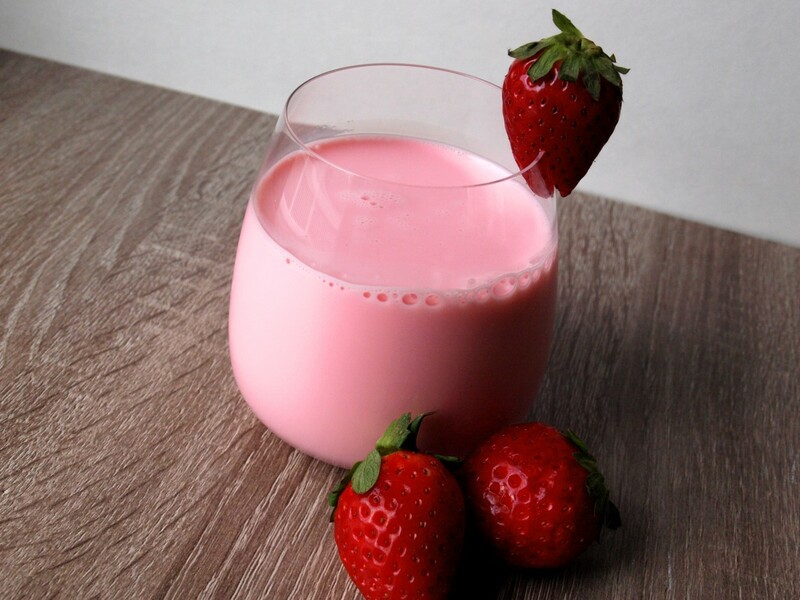 A strawberry-flavored whey protein shake. In a 12-week calorie intake study conducted by Minnesota-based researchers, a group of participants reduced their calories by 500 after they were given whey. Participants who were not asked to consume whey were given drinks with an isocaloric concoction. Whey-consuming participants lost around 6.1 percent of their body fat and were able to preserve their muscles. There is no supplement that can fully replace the benefits of a diet of unprocessed, natural, whole foods. However, whey protein has been proven to be a useful and easy source of protein for people who are busy, and there have been many studies to suggest a wide range of health benefits and uses. Whey protein helps increase muscle mass and increases one's power when doing sports. It also helps in weight loss by focusing the loss on fat and preserving lean muscle. 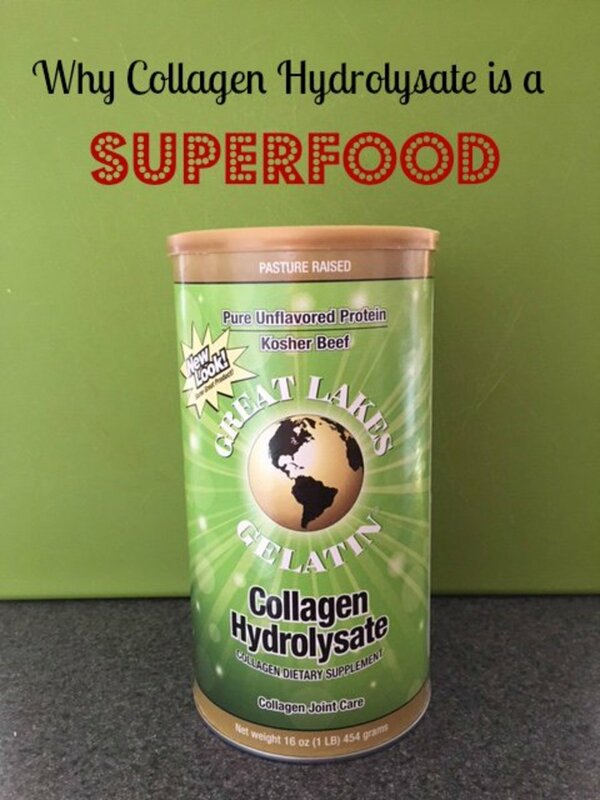 It increases levels of glutathione, the body's main water-based antioxidant. Whey protein can help slow the progress of certain kinds of cancer and slow unwanted weight loss as a result of cancer treatment. It decreases the symptoms of training too much and lessens recovery time. It may help delay the progression of HIV symptoms and helps combat unwanted weight loss (wasting) associated with the disease. It enhances different functions of the immune system. It increases HDL (good cholesterol) while at the same time, decreases total cholesterol. Whey protein may improve the immune response to asthma. It decreases blood pressure in patients with hypertension and also reduces their risk of developing heart disease or stroke. You may have wondered about the best way to cut back on your calorie consumption and shed off pounds. In a 12-week calorie intake study conducted by Minnesota-based researchers, a group of participants reduced their calories by 500 after they were given whey. Participants who were not asked to consume whey were given drinks with an isocaloric concoction. Whey-consuming participants lost around 6.1 percent of their body fat and were able to preserve their muscles much better than the other group of participants. If you are currently on a workout spree, training at the gym for long periods of hours in an attempt to bulk up some weight, whey protein consumption will help fast track this goal. A study initiated by the Baylor University in Texas proved that whey significantly contributes to fat-free mass and muscle strength increases. One group was given a 20-gram placebo, while another group composed of 19 males performing resistance training for 10 weeks consumed 6 grams of free amino acids and 14 grams of whey and casein protein. Individuals adopting a regular workout regimen may want to consume whey an hour before and after starting their routine. Pair whey with strength training exercises to your existing workout regimen and you can bulk up and make your muscles leaner. 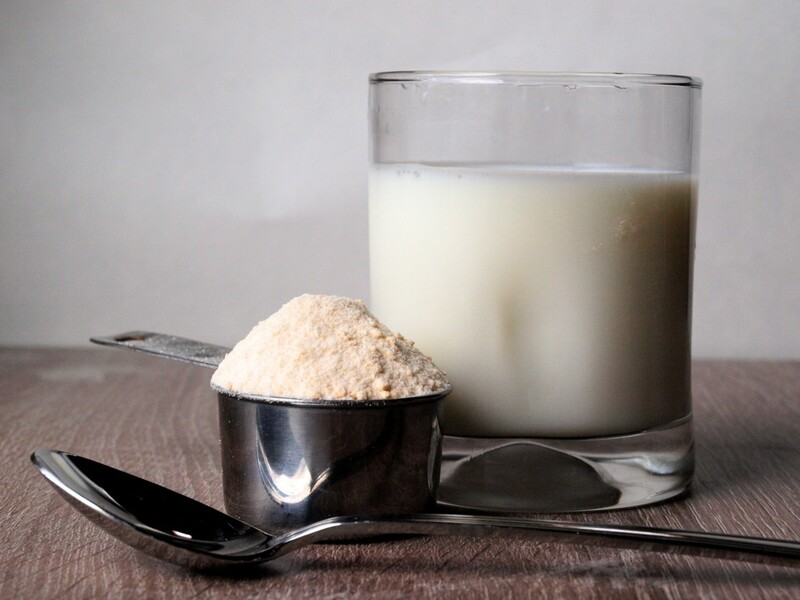 Whey protein is ideal for people with diabetes or blood sugar problems. Its natural properties can help lower blood sugar levels. However, if you are taking prescription drugs, herbal medication or supplements that affect blood sugar, caution is highly advised when consuming whey protein. Always consult with a qualified healthcare professional (doctors, nurses and pharmacists) and have your blood sugar levels constantly monitored in case there are adjustments to your consumption. Constant hunger is a sign of hormonal imbalance. Taking in whey will not only keep you from craving food at random instances; it also helps you avoid developing an unhealthy physique. In an Australian-based study, researchers asked 28 obese males to drink four kinds of beverage including whey protein. The group tasked to drink 50 grams of liquefied whey showed greatly reduced ghrelin levels for four hours. Ghrelin is a hormone, which sends “hunger signals” to the brain. With this in mind, you may want to whip up a whey protein shake whenever you feel excessively hungry. A deadly disease passed on from generation to generation if not acquired through environmental factors, cancer is a bane of society. Thanks to new technological advancements, however, more methods to fight or prevent it have become available. Regular checkups and cancer screenings are particularly helpful in identifying specific types of cancer that your bloodline can be vulnerable to. Studies show that whey protein has cancer-fighting properties and is effective in addressing prostate and colon cancer. In addition to getting screened and seeking professional medical advice, if you think you are at risk of contracting cancer, do not hesitate to include whey protein in your regular diet. Stress is a silent killer and leaves you vulnerable to all kinds of diseases and mental disorders. Resorting to alcohol is not even an option. Researchers from Netherlands conducted a study that proved there is a healthier alternative for individuals prone to stress. In a clinical research participated by 58 subjects exposed to experimental or synthetic stress, it was discovered that the group who consumed whey protein had fewer manifestations of depression and its members appeared to be in a better mood than the group who did not take whey. Researchers made the conclusion that whey protein intake has an impact on the brain's serotonin levels, improving a person's mood and resilience to stress. During stressful times, just grab a whey protein shake. It will help you cope with stress better than alcohol. Whey intake can also contribute to improved immune system health, according to researchers from the University of Alberta. In the study they conducted, male subjects engaged in physically demanding aerobic exercises experienced greatly reduced glutathione levels that tend to weaken not just their immune system, but also their nervous and gastrointestinal systems. They found out that consuming whey protein as a supplement only reduced the subjects' glutathione levels to a significantly lesser extent. Whey is, therefore, a great supplement to take for those doing extended cardio workout routines as it does not greatly reduce a person's glutathione levels. Whey is an ideal source of protein for individuals recovering from injuries incurred during a workout. Whey's high protein quality and its easy-to-absorb properties make it a good protein source for post-workout recovery – a fact already confirmed in the 2012 Journal of the International Society of Sports Nutrition. If you drink a whey protein shake following a strenuous workout, you will receive the right amount of nutrients to ensure muscle growth that can make your frame leaner. To get the best results, check the nutrition facts on the label of your whey supplement. Take note of each serving (ideally 3 grams of leucine to help build muscles) and your supplement's amino acid breakdown. It has already been proven that customizing your whey protein shake and adjusting the calorie dosage helps in reducing or adding weight. In a study published Nutrition and Metabolism, whey demonstrated an ability to help retain muscle and manage weight. Obese people were asked to drink a whey protein shake to help them lose body fat. Another group of obese people were given a different kind of shake. Both groups followed the same diet method for a period of 12 weeks. Not only did the group with a whey-based diet succeeded in losing more body fat, but the members also retained much of their muscles compared to the other non-whey group. Muscle retention is particularly important in maintaining your weight. If you have leaner muscles, then you will also be able to burn your calories faster. Lean muscles boost a person's metabolism and preserve their weight. With the right whey protein dosage, workout regimen and diet, whey protein can help lower blood pressure levels. This protein variant can stimulate the production of nitric oxide, a molecular, chemical compound, which contributes to the regulation of blood pressure by dilating the arteries. Lack of nitric oxide in the body can spur the aging process and increase one's risk of contracting a heart disease. These benefits show that whey protein can provide a person with benefits that vary from the physical aspects to more intricate functions of the body. Most protein shakes are mixed with water. How Do I Consume Whey Powder? How much whey protein one must consume still remains a contested subject. Product distributors, manufacturers, dieticians and nutritionists recommend around 1 gram of whey protein for every pound covered by your weight. However, if you do the math that would mean a person weighing 68 kilograms would have to consume 150 grams of whey. This amount is considered too high. Your kidneys and lung will have to work extra hard to process such a large dose of protein. Some dieticians recommend taking protein with other liquids like water, milk and fruit or vegetable juice. You can also add fruits. However, a blend of milk and protein can lead to certain complications. According to nutritionists, milk's high lactose content can trigger constipation, which means your digestive tract is not functioning as well as it should. If you regularly perform a heavy work out routine, experts recommend around 25 to 30 grams of protein three times a day: first in the morning, second after you wrap up your exercise regimen, and third just before hitting the sack at night. Around 1.2 to 1.5 grams of protein per kilo of body weight is ideal for people who work out. The high lactose content of milk can trigger constipation when mixed with protein powder. Whey protein, as mentioned above, is quickly digested, so it is best taken within 30 to 60 minutes after exercise. If you wish to take it any other time, you may want to slow down the digestion of the whey protein by taking it with other types of food. For example, if you wish to add extra protein during breakfast but you don't want eggs, you can add some whey protein to your oatmeal. For a quick snack, you can drink a shake with nuts or some fish oil to help decrease the rate of protein digestion. To the people who still worry that whey protein makes you fat, keep in mind that anything in excess will be converted to fat in the body. Excess protein is not exactly bad, but it will still mean excess calories. To prevent the process of weight gain, whether you actively exercise or not, you have to make sure that your daily consumption of calories does not go over what your body is able to burn. There are many online calculators that can help you check or estimate what your body is able to burn based on your age, activity level, size, and gender. What Happens If I Ingest Too Much Whey Protein Powder? Whey protein is generally safe to consume among adults as long as you pay attention to manufacturer recommendations. Oral ingestion of whey protein, as a single dose, should not exceed 50 grams. You can also take around 30 grams of it everyday (as part of your regular diet) for up to six months. Despite its health benefits, however, overconsumption or the wrong dosage can backfire and put you at risk. People with pre-existing allergy or known to be sensitive to dairy products such as milk, cheese, frozen desserts, butter and other dairy products should ideally avoid consuming whey protein. Allergic reactions related to its consumption may include diarrhea, colic, rash, vomiting and weight faltering. Individuals with lactose intolerance should also avoid taking it with soy products. Other side effects related to whey protein are fluctuating cholesterol levels, severe headache, abnormal heart rhythms, kidney stone formation, kidney dysfunction, undue liver pressure, liver damage and signs of gastrointestinal problems (i.e. nausea, upset stomach, bloating, acid reflux, decreased appetite, gas, constipation or bowel obstruction, cramps, rapid bowel transit and swollen limbs). You may experience bouts of thirst after taking whey protein. The wrong diet may also increase risks to the following diseases: diabetes, fracture or osteoporosis. 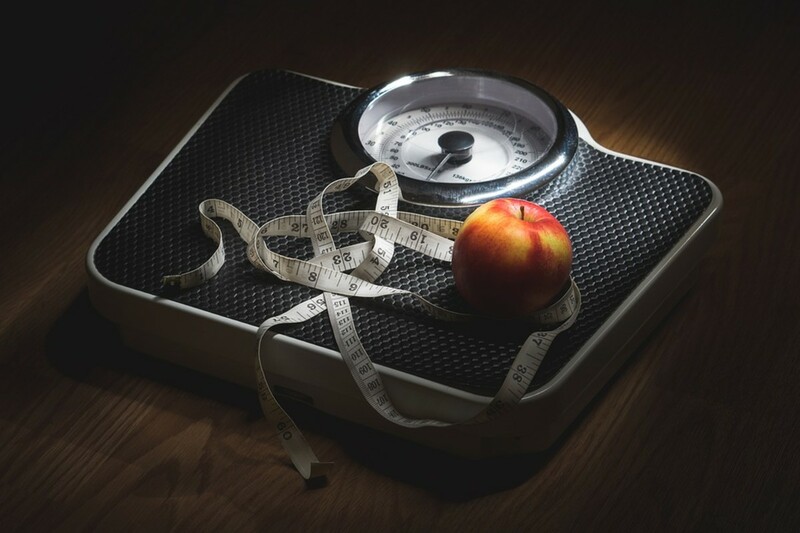 Be careful with your weigh protein consumption if you have bleeding disorders, blood-related problems and menstruation or are taking drugs that put you at risk of bleeding (e.g. blood thinners). You need to adjust your dosage accordingly and consult with medical or health experts. Otherwise, whey protein consumption may double your risk of bleeding. Through the Cytochrome P450, essential enzymes in the liver that help metabolize many medications, whey protein may interrupt processes within your body particularly if you are taking certain types of drugs. Cytochome P450 eliminates toxic compounds in the body. Taking it while the elimination process is taking place may cut the process short instead. Individuals with low blood pressure or are taking drugs, herbal supplements or alternative medication that decrease your blood pressure should exercise caution when consuming whey protein. It may reduce your blood pressure even further, leading to hypotension. It is not ideal to drive or operate heavy machinery after taking whey protein. Side effects may include drowsiness or extreme sleepiness. Proper rest and sleep are necessary before resuming your regular activities. If you are taking medication or supplements to boost your immune system or lower cholesterol levels, do not take it without consulting a health professional. There is insufficient evidence that prove whey protein consumption during pregnancy or while breastfeeding can have adverse effects on the mother or the infant. However, mothers should avoid mixing it with infant formulas. Only approved sources should be used. Infants are highly intolerant to commercial milk. Non-approved whey protein infant formulas reportedly cause rash, infant colic, diarrhea and weight problems. People with pre-existing stomach or intestine problems should also consume whey protein wisely. Excessive or wrong consumption may worsen their condition. Studies also show that high amounts of protein in the body may lead to mineral imbalance and may result to bone density loss. Whey protein consumption should be regulated at all times. Avoid long-term consumption. Experts do concur that most of these side effects are caused by overconsumption or unhealthy diet practices. If you are a gym enthusiast or someone who regularly works out, whey protein intake is necessary. It is often used as a source protein for the body. During workouts, the body burns this protein and converts it into energy. Whey protein is a supplement and should not be used to substitute your meals. To avoid the aforementioned side effects, you must therefore treat it as a supplement. Consume it together with your regular meals. How Do I Balance the Calories in My Whey Protein Diet? More than adding whey protein to your regular diet, the number of calories you consume must coincide with your specific weight goal. Take for instance consuming between 250 to 500 calories each day. If you do not exercise enough and these calories remain in your system, you are likely to add between 0.5 and 1 pound to your weight on a weekly basis. On the brighter side, if you cut back on your calorie intake to between 500 and 1,000 calories, even if you do not exercise regularly, you will still lose around 1 to 2 pounds weekly. Indeed, whey protein does have calories. 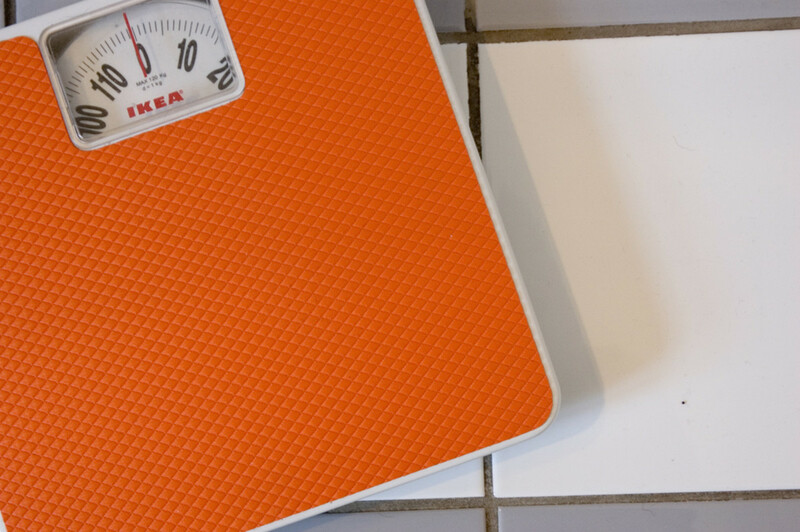 Those who need to increase their size or bulk up can utilize these calories properly. If you have an opposite goal, you must therefore adopt a calorie-regulated diet and use only a measured amount of whey protein. The amount of calories available per serving of whey will ultimately depend on your diet approach. There is a low calorie whey protein powder for weight loss (113 calories per serving) and a high calorie whey protein for weight gain (309 calories per serving). How Do I Serve a Healthy Dose of Whey? Before making drastic changes to your diet, such as adding whey protein into your regular routine, it is advisable to consult your doctor first for expert advice and guidance. If the reason you need to gain further weight is to combat a pre-existing medical condition (e.g. kidney disorder), consuming protein supplements may not be beneficial to your health. For you to take whey protein, medical clearance is necessary. Whether your purpose is to lose or gain more weight, you may need to adjust your dosage accordingly. For individuals looking to lose weight, low calorie whey protein powder mixed with various fruits plus water will make for a fiber-rich shake that's not saturated with calories. It will not take as much as 166 calories for mixing a low calorie whey protein powder with a cup of berries and water, for instance. If you need to gain weight, increase you caloric intake with whey protein. 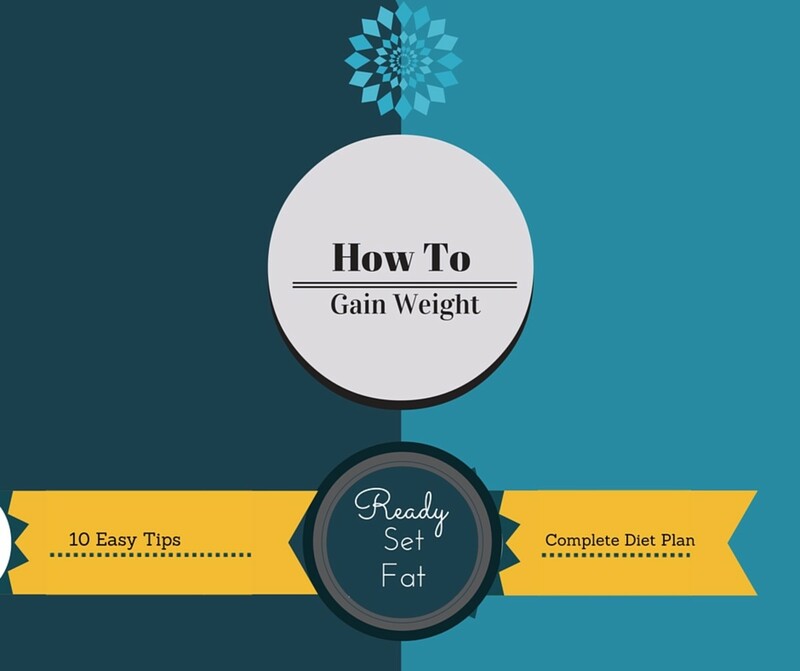 If your intention is to gain weight then you need to add a few more calories to your diet. First, choose a high calorie whey protein powder. Next, you can add whole milk instead of water and increase one cup to 2 cups of berries. To complete your 600 plus calorie shake, a tablespoon of almond butter should be added into the mix. 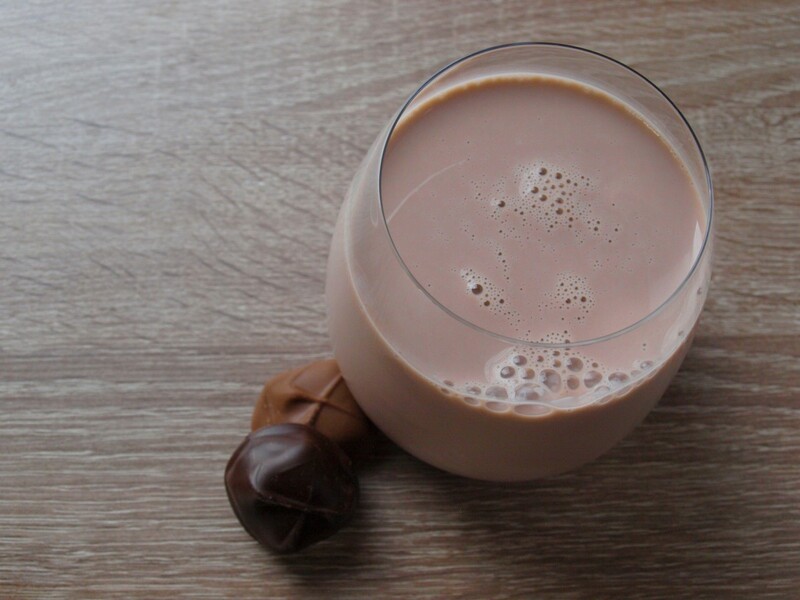 You have plenty of options to customize your whey protein shake. 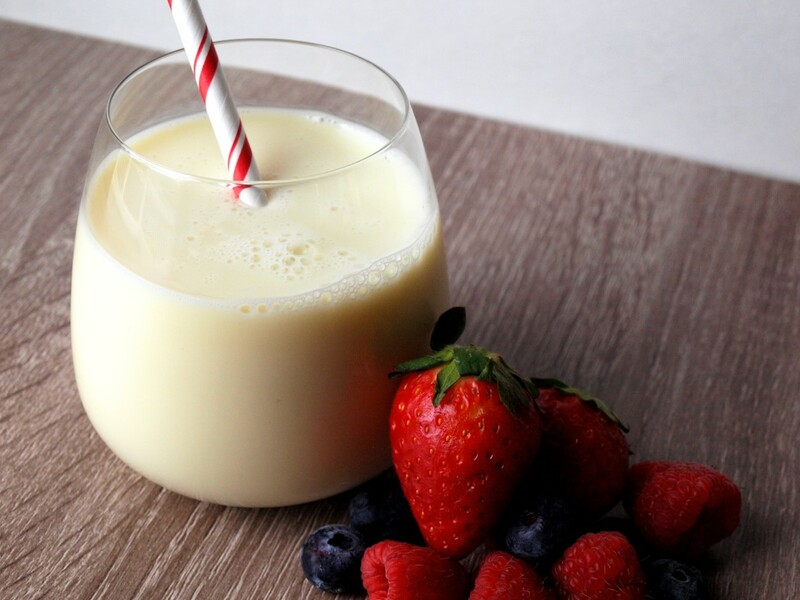 Berries may blend well with whey powder, but you can actually use other fruits—even vegetables and other liquids like green tea, fruit juice and milk. Depending on your weight goal, pay attention to the amount of calorie your body has to absorb every time you whip up a whey shake. In your experience, does whey protein make you fat? Yes. It bulked me up very quickly. Only when taken in excess. No. I've lost weight with whey protein. I believe the Whey protein is causing heavy blood flow during menstrual cycle. I went from 5 to a heavy 8 days cycle. Has anyone else had this experiences? Hi im skinny guy .. If i take whey protein it will help me to gain fat / weight ? I just want to try this take whey protein for 1month without hard workout just push ups and lift barbel .. It will help me or not ? It will be good for me or not ? Please I need an answer thanks Godbless..
i am a skinny men and i dont have enough time for gym or either workout since my work is physically. i want to make muscle can you suggest me use of whey protein for me or not. I am a 19 years old girl. i'm slim.i want to be fat .will protein powder help to be fat? Please give me answer.. I don't know how much is too much. I'm a pretty short woman I was already losing 2lb a week. I started drinking 3 scoops of the stuff a day as an appetite suppressant to eat smaller dinners or avoid late night snacking, & just before doing aerobics or hiking. It has not caused me to gain or lose more than the 2lb a week I was already working on. My LDL increased over the past 3 years and I've read that whey protein will help to reduce it. I just got back those results and just began using whey protein in my smoothie with 1/2 cup skim plus milk, 1/2 cup fat free Greek Yogurt (vanilla flavored) and 1 frozen banana whirled up. I plan on having more blood work in 6 months to see what the results are. I've also cut back on bad fats such as butter, etc. Increased good fats such as adding avocado to my already very healthy diet (Weight Watcher's). I'm interested to see what the new numbers will be. I have head that any kind of protein in form of powder supplements it's extremely bad for your body because it fills your muscles with air [meaning that once you don't consume it anymore, or don't workout as much your muscles will shrink very fast], and it also contains hormones that alter your body's natural hormonal balance causing many other problems. How true is this? In my experience, I certainly bulked up to too much with a combination of fat and muscle from whey protein. I switched to a more sport type which seemes to be better. I love my Whey however, I do always use it in conjunction with working out. I normally drink it before a heavy lifting session. I don't think i have lost weight with it, least not yet. However i have noticed it gives me a LOT of energy to burn at the gym. I come home from a workout wondering how i was able to do all the exercise i just did, i can barely walk most places. so whey powder in moderation is brilliant. I only use one full scoop of whey powder, half a cup of water, one banana, and chocolate flavoured coconut milk/or/chocolate flavoured rice milk, does the trick just fine. I'm so glad I came across this article. I found it to be extremely interesting and I appreciate your efforts to share this with us here on HubPages. I am changing my eating regimen for health reasons and whey protein has been on my list of things to investigate. Thanks again and blessings! Wow thank you for this article, very informative! I just started using whey protein but haven't been able to keep up with my workouts. To prevent the process of weight gain, whether we actively exercise or not, we have to make sure that our daily consumption of calories does not go over what our body is able to burn. I just wish people would realize that there are no magic solutions out there! Protein isn't going to build your muscles for you anymore than a gallon of gas will steer your car! Hard work, persistence and dedication is the key to everything. Protein powder is a tool to get you where you need to be, not a magic solution. Great tips, I have never tried whey protein but I'm looking into it. I was worried if there were any downsides to using it, but I feel more confident about starting after reading this. Nice HUB. I have used Whey protein supplements to lose weight and had very good results. I have been using whey protein ,only half the dose on the tub by the way ,& already have noticed a difference , i was starting to feel gutted health wise & very drawn in my face ,after 3 weeks of using it my face looks like it has come to life & certainly looks better & most of the lethargic feelings have just about gone from my body .I am 60 yrs of age & feel much better . thanks whey. This article is very informative in regards to defining whey protein, how to use it, and its benefits. Voted up and useful. The writing is clear and concise. Very well done! I have tried whey protein before my workout and I like it! But I wondered if I skipped the workout what then? Thank you! Protein should definitely be used in conjunction with physical training. otherwise it pointless. It doesn't even have to be the gym. jobs that require a lot of physical work will give you good muscle if you increase you protein intake. Without exercise because I'm busy with my job so I didn't have time to go let me know plz? Interesting. I've never tried any sort of protein powder before, mostly because I don't trust myself to consistently burn all of it off, but I might try it sometime when I can be focused on building a little muscle. My son is a dialysis patient and when you do dialysis it washes the protein out of your system, I give him whey protein in the morning and in the evening in the amount of 3oz. each time. It not only helps with his dialysis but it also has helped him heal in some areas of his health problems. whey protein is a very important part of his diet.